William Battista is a patent agent with Kenealy Vaidya LLP. Mr. Battista’s practice includes prosecuting and counseling clients on patent prosecution matters. 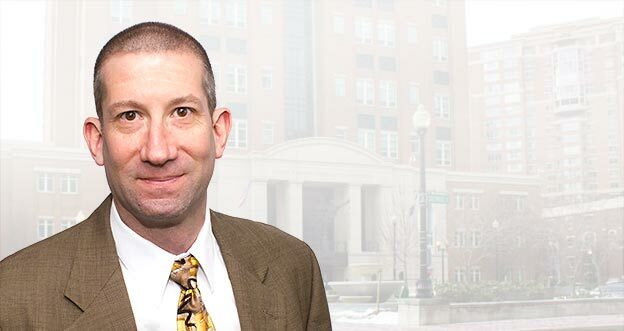 Mr. Battista has significant experience with prosecuting patents and served as a Patent Examiner for over four years at the U.S. Patent & Trademark Office. Mr. Battista has in-depth technical experience in such areas as automotive technologies, pump and fluid control systems, semiconductor devices, and medical devices. Mr. Battista previously worked as a patent agent with Honda R&D Americas near Columbus, Ohio. Mr. Battista has a degree in Mechanical Engineering from the University of Pittsburgh and is admitted to practice before the U.S. Patent & Trademark Office. Mr. Battista’s practice includes prosecuting and counseling clients on patent prosecution matters.